A decade ago, D-Pad Studio announced the beginning of an independent development of Owlboy. All this time, the game has been gathering everyone’s attention. At last, November 1, 2016, the game appeared in Steam and GOG stores. The game appeared to be complicated. It’s not bad or difficult, no. It’s fabulous. But this feeling is very hard to put down. 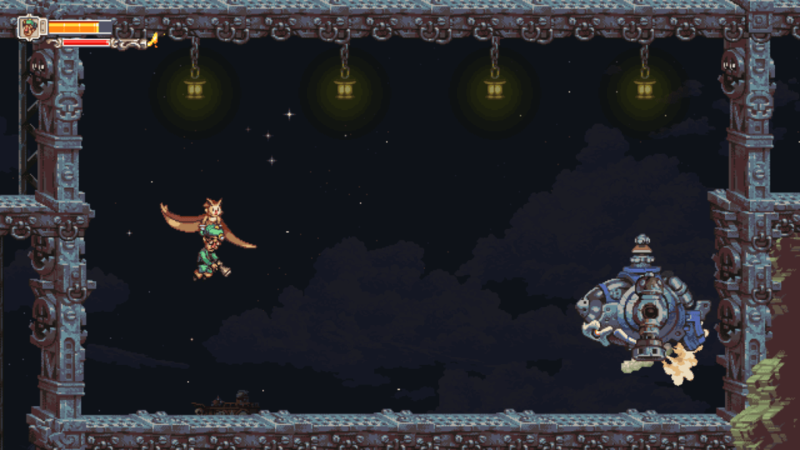 Owlboy tells us a story about a young owl named Otus. He’s controlled by a grown one, patroling and protecting the village. One day, it was attacked by robo-pirates. Neither villagers, nor our hero were ready for this. Otus and his friend Geddy set off into a dangerous journey. 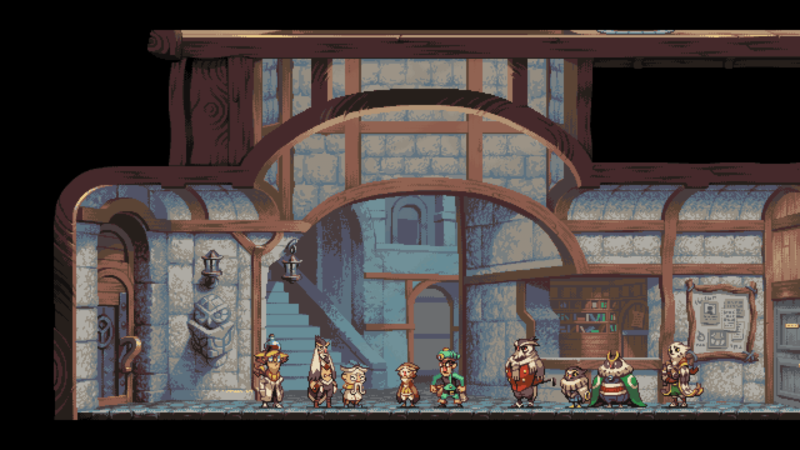 One is about to dive into Owlboy and here will be Dima, the Tester, Nika, the Artist or Michael, the Manager no more. Youngsters can praise Mankind Divided for as long, as they want for its story and twists but it can’t be compared with the very first Deus Ex in terms of involvement into the world. Just like here. Our protagonist is very young. All he can do is run and fly, grab and throw and spin around. His friends will help him fight pirates, who are to be unlocked step by step, just like in any other game. For example, our best friend has got a gun that shoots not so far, but very fast. Another comrade has got a flamethrower with a long reload. When we fly to our friend and grab him, he becomes free to shoot wherever you like. That’s how we fight pirates here. Such mechanics is our solution for most puzzles here. Just like in good old times. Put a friend on one platform and stand onto another. Here is your secret passage. Trivial, but it’s just the beginning. After a little playing we get an artifact, that allows us to teleport our frined, and thus switch between them in no time. 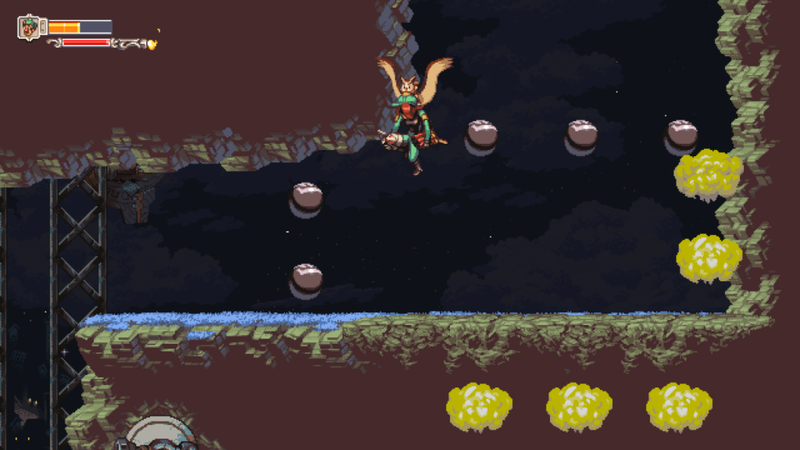 Otus can fly vertically and horizontally. Only waterfalls and the ceiling are the limitation. And don’t be shy to fly beyond borders of the screen. Locations are picturous. It’s obvious that every artist, working on them, left a piece of soul in them. To be fair, we didn’t expect day and night shift in the game. Some locations have element’s to vary the gameplay. We couldn’t think of a way to break the well cover until we tried to move the cloud above it and stand on it for the rain to start. The water fills the well and the device we need will get up. As we advance, bushes and limelights appear, together with stealth elements. Owlboy just won’t stop surprising us. The story is interesting, even if predictable sometimes. All this is mixed up with melodical magic, wonderful style and game design. 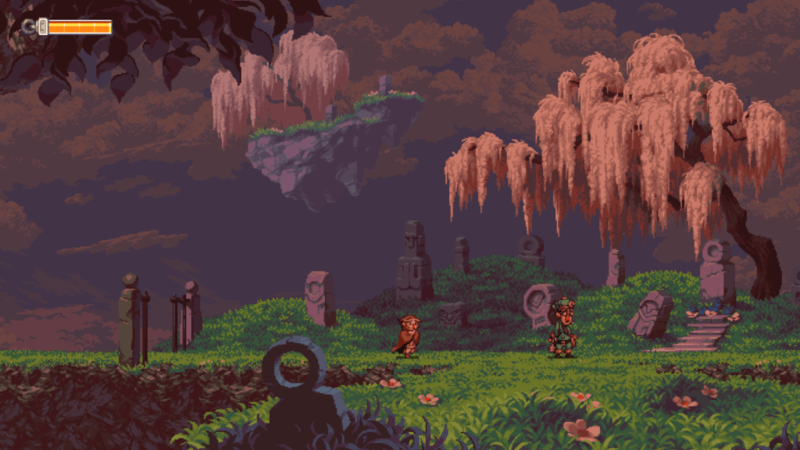 Pixel graphics makes the game look older, than it is, as if for players, who never heard of Owlboy, so they wouldn’t think that it was made within a year or so. Some thought they wouldn’t live up to see the release. What is there to say, if many of those young gamers now buy Owlboy for their own kids to play it. If you are one of such people, who had hopes, thoughts and beliefs for it, you got it back thrice. It’s no Duke Nukem, we say.